Sometimes, electrical systems can be unpredictable and unpleasant: the lights will flicker, a circuit breaker can trip repeatedly, or the homeowner will discover they’re just a few outlets short of comfortable. Whether it’s a replacement, an upgrade, or a repair, when your home needs professional electrical work, call a licensed electrician instead of a general handyman or your handy neighbor. 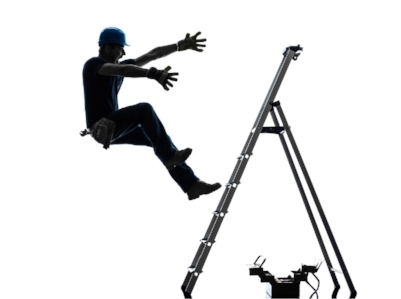 We know you want to save money, and your neighbor might be willing to put a ceiling fan in your dining area for a pizza and beer, but, when he gets a shock, falls off the ladder and ends up in traction, who is going to pay his hospital bill? It goes without saying that even licensed electricians can make mistakes and have accidents. Electricity is dangerous and can be deadly, which is the reason that an electrician carries insurance. If something unexpected happens during the repair, you, as the homeowner, are not liable for the injury, lost wages, pain and suffering, etc., if the work is performed by the licensed electrician, who carries insurance for this very reason. We also know the building codes, not just the state building codes, but the city codes, as well. Remember that ceiling fan? When a new ceiling fan is installed in a home (not a replacement), a permit is required. The reason is that a licensed electrician can’t get a license unless he passes the licensing exam. Because we are licensed, our reputation and our livelihood are riding on excellent work faithfully performed without a problem every single time. We small business owners depend on happy customers to tell their friends if they’re happy with the work we perform. While happy customers may murmur their praise, unhappy customers will give us both guns on review sites. Who else considers the license to be significant? Why would your insurance company care? Because if there is a fire, an accident, or some other mishap down the road, you can show that you have exercised due diligence and had your electrical repairs performed by a licensed electrician. Why else might the hire of a licensed electrician to be to my advantage? Other than a full range of electrical expertise, a licensed electrician also has an ongoing awareness of new technology in the electrical field. For the homeowner, this knowledge is meaningful because your licensed electrician can be expected to keep on top of new advances in electrical technology especially those that might make your home safer, more liveable, or more economical than ever before. As licensed electricians, we are proud of what we bring to the table when we serve our customers, whether it’s a simple repair or a full-blown electrical retrofitting. Paying a little more money guarantees the quality of the work performed, your satisfaction, and a safe product which you and your family can enjoy for years to come. We hope you’ll consider us for your next electrical job.